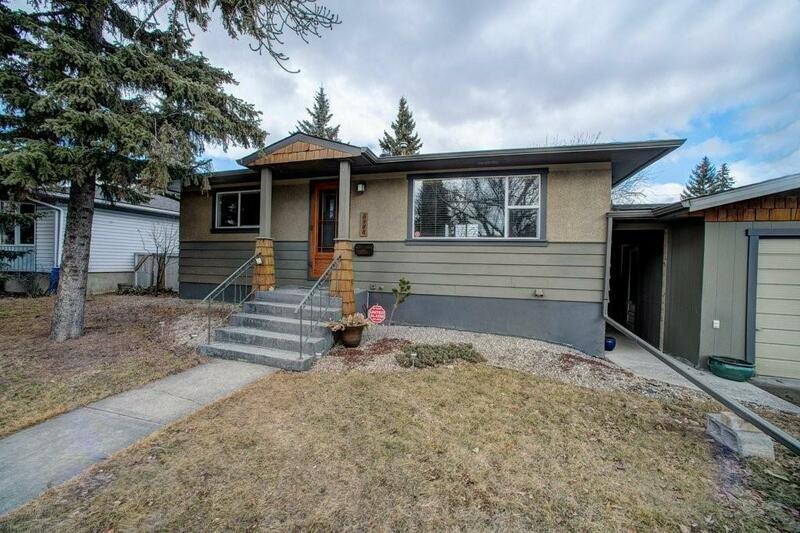 DESCRIPTION Great family home or investment property, this updated bungalow located on a quiet street in the popular inner city neighbourhood of Thorncliffe has great curb appeal and is close to all amenities, public transportation, parks, schools and downtown. The bright, open main floor plan has 2 spacious bedrooms, hardwood floors and a cozy yet modern feel. The open living room leading to a sunny kitchen with dining area, updated cupboards, tile backsplash and a gas range. The basement has a full Illegal suite with separate entrance, newer vinyl flooring,2 bedrooms, living room, kitchenette and 3 piece bath. Vinyl windows throughout,2017 Hot water heater, newer roof and weeping tile replaced, with transferable warranty. The large and private treed back yard has a large raised attached deck and a cement patio for those family bbq's .Single detached garage linked by covered path to house, storage shed and front drive offer added convenience.